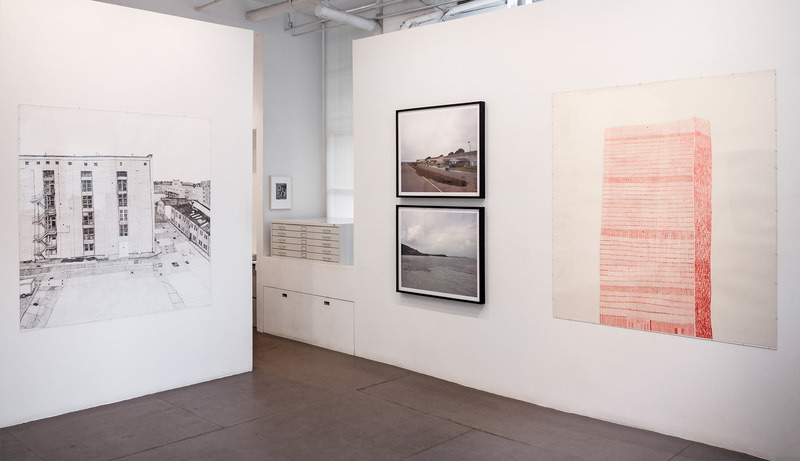 Installation view of PLACE at Art Projects International, New York, 2016. 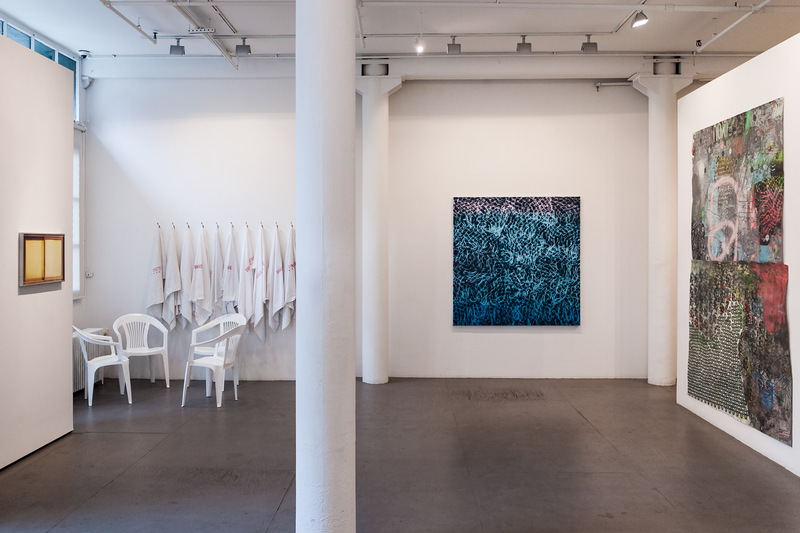 DINO DINCO, Untitled (FINISTERRE) #0, 2016, towels from series “Untitled (FINISTERRE) #1-10”, dimensions variable. 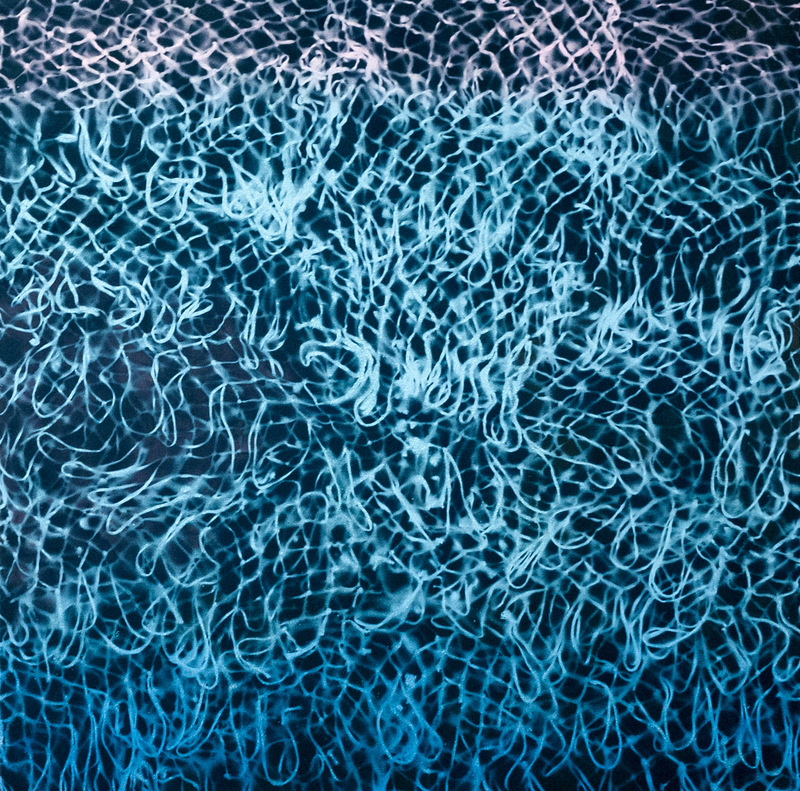 DAVID HUFFMAN, In Between, 2016, mixed media on canvas, 60 x 60 inches (152.4 x 152.4 cm). 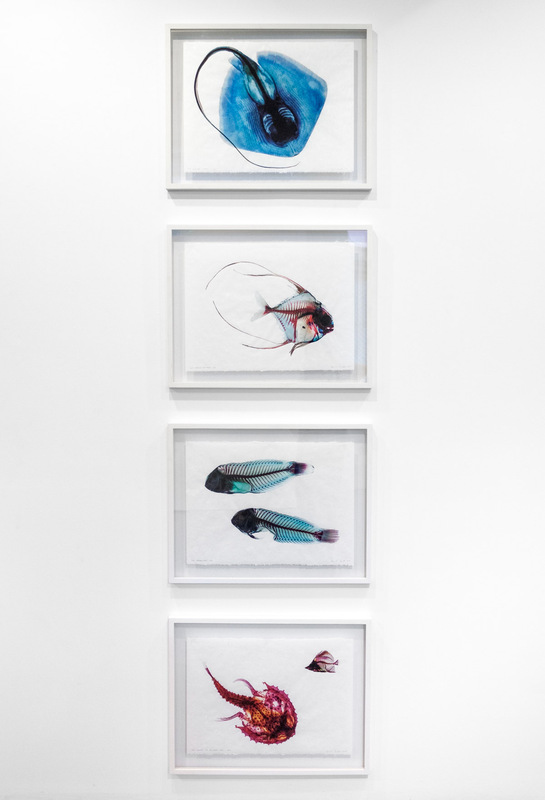 BRANDON BALLENGÉE, installation view of four works from the Ghosts of the Gulf series. 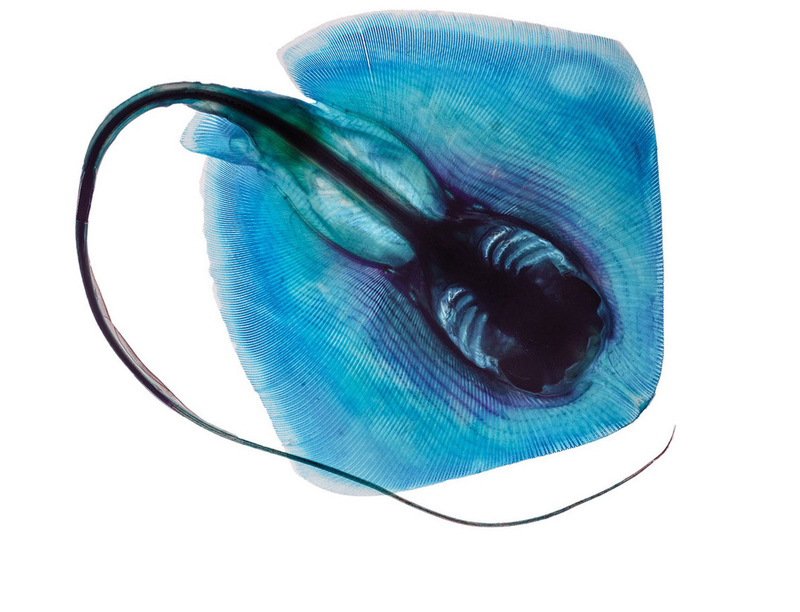 BRANDON BALLENGÉE, Ghosts of the Gulf: RIP Bluntnose Stingray, 2014, limited-edition digital C-Print on handmade Japanese rice paper, 18 x 24 inches (45.7 x 61 cm). BRANDON BALLENGÉE, Ghosts of the Gulf: RIP African Pompano, 2014, limited-edition digital C-Print on handmade Japanese rice paper, 18 x 24 inches (45.7 x 61 cm). 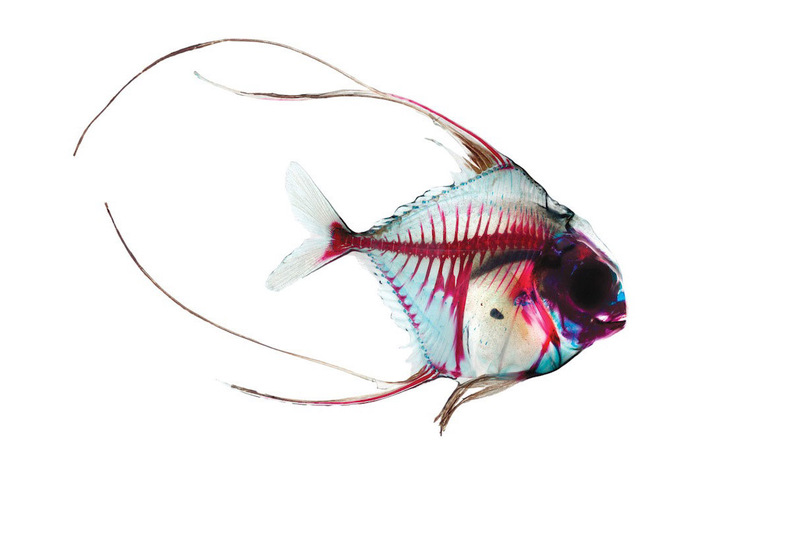 BRANDON BALLENGÉE, Ghosts of the Gulf: RIP Parrot Fish, 2014, limited-edition digital C-Print on handmade Japanese rice paper, 18 x 24 inches (45.7 x 61 cm). 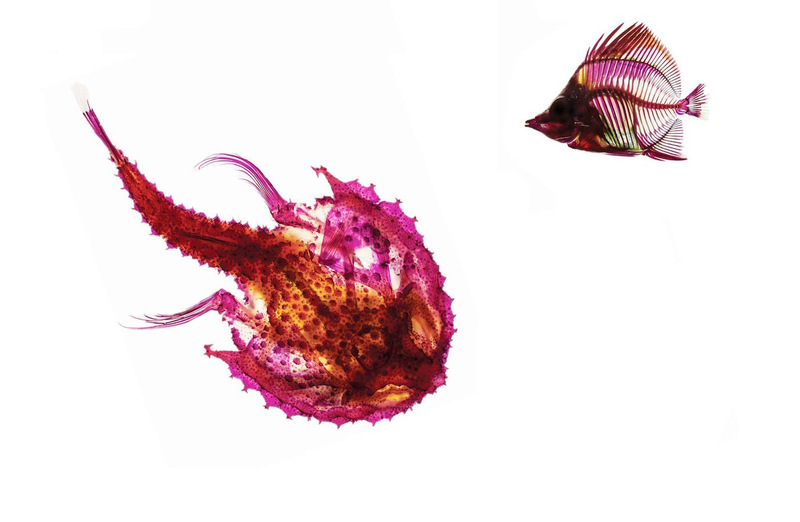 BRANDON BALLENGÉE, Ghosts of the Gulf: RIP Batfish and Butterflyfish, 2014, limited-edition digital C-Print on handmade Japanese rice paper, 18 x 24 inches (45.7 x 61 cm). 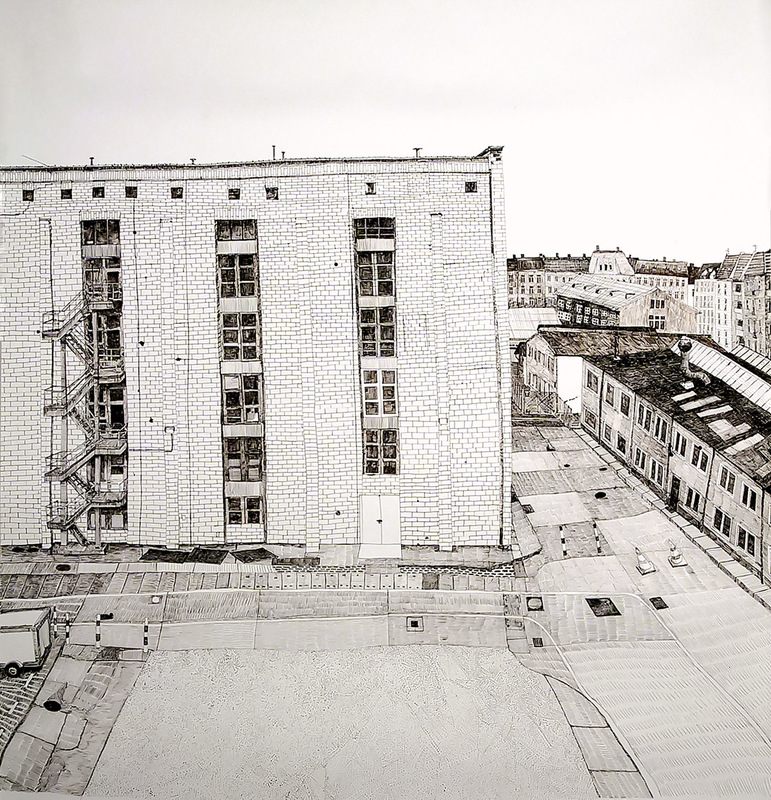 JOAN LINDER, Oberschoneweide, 2000, ink on paper, 62 3/4 x 59 inches (159.4 x 149.9 cm). 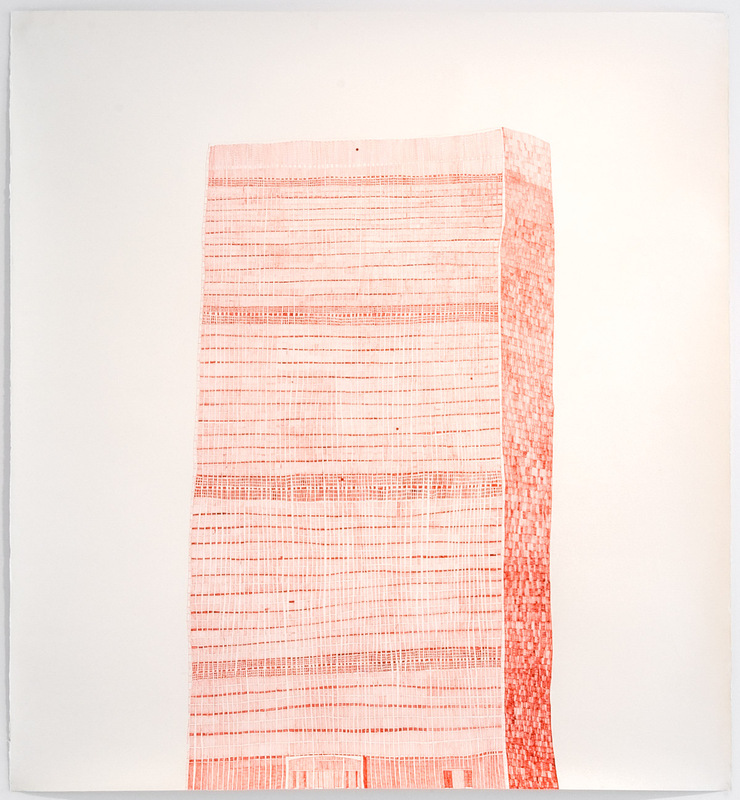 JOAN LINDER, UN, 2003, ink on paper, 66 x 60 1/2 inches (167.6 x 153.7 cm). 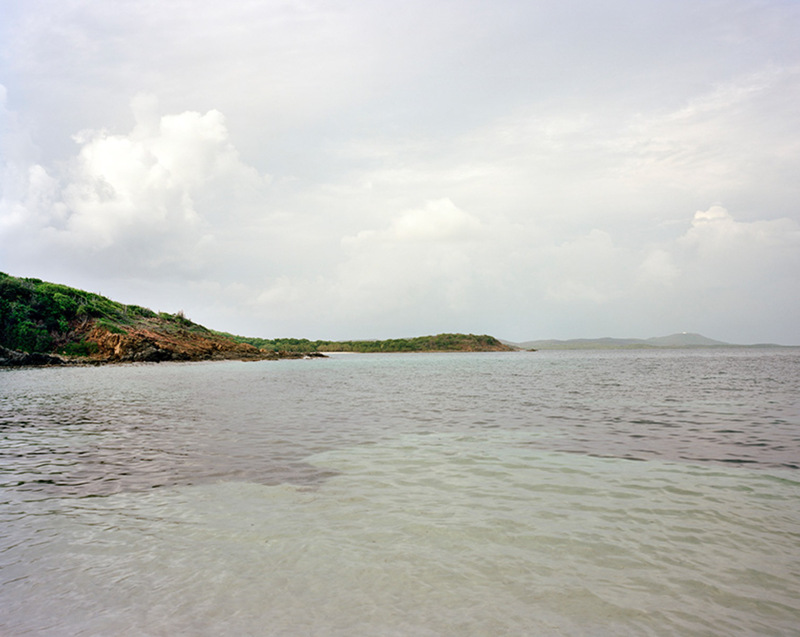 BROOKE SINGER, Sites Unseen: Fleet Weapons Training Area, Vieques, Puerto Rico, 2009-2011, limited-edition archival pigment print, 30 x 36 3/4 inches (76.2 x 93.3 cm). 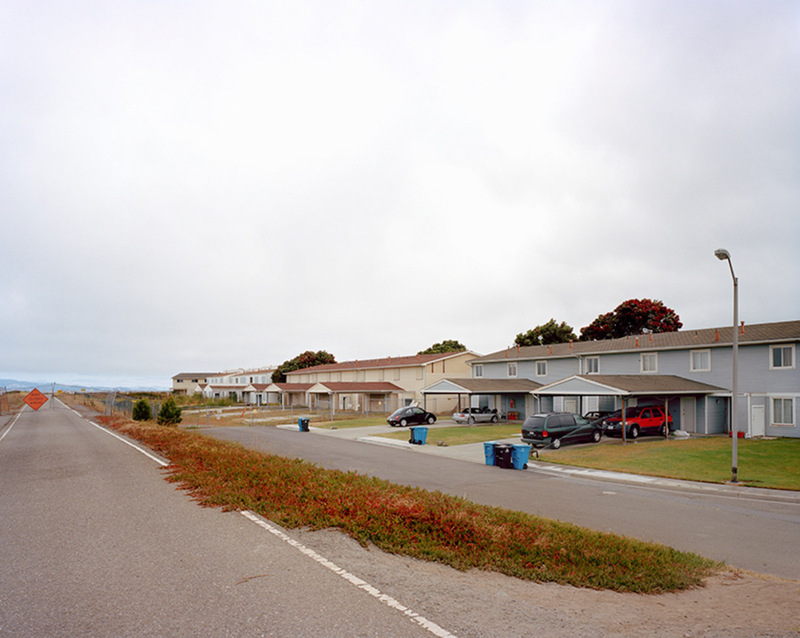 BROOKE SINGER, Sites Unseen: Treasure Island, San Francisco, CA, 2009-2011, limited-edition archival pigment print, 30 x 36 3/4 inches (76.2 x 93.3 cm). BROOKE SINGER, U.S. Radium Corporation, Orange, NJ (portrait), 2009-2011, limited-edition archival pigment print, 16 x 20 inches (40.6 x 50.8 cm). 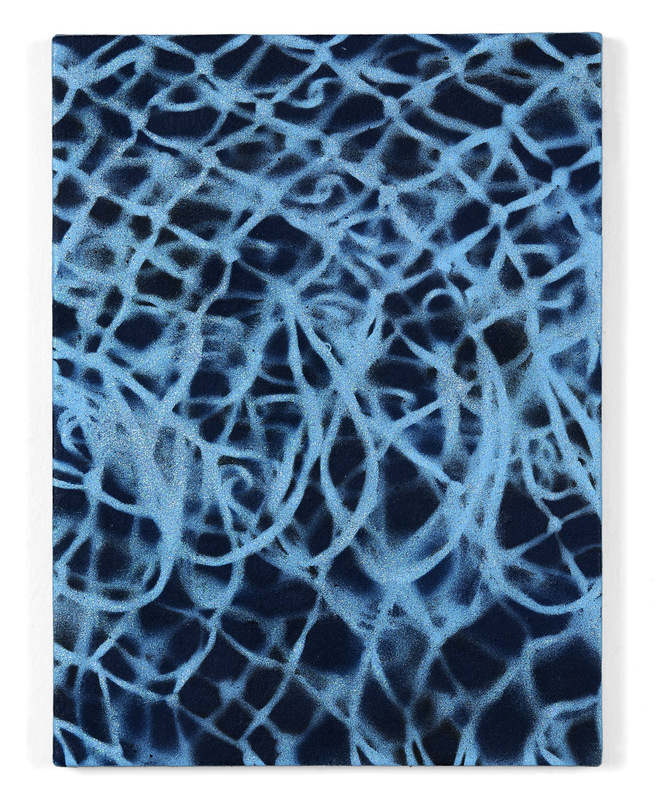 DAVID HUFFMAN, Flood, 2016, mixed media on wood panel, 16 x 12 inches (40.6 x 30.5 cm). 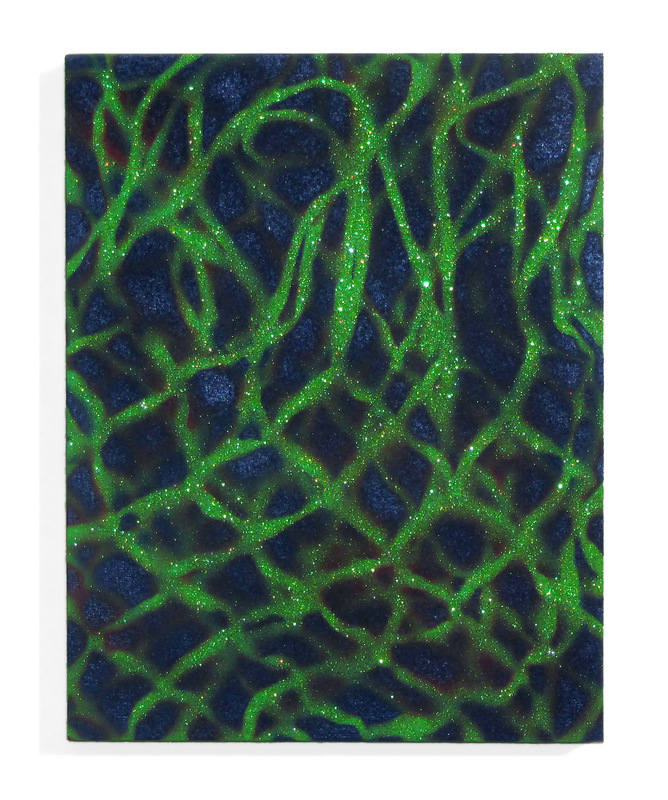 DAVID HUFFMAN, Emphatic, 2016, mixed media on wood panel, 14 x 11 inches (35.6 x 27.9 cm). 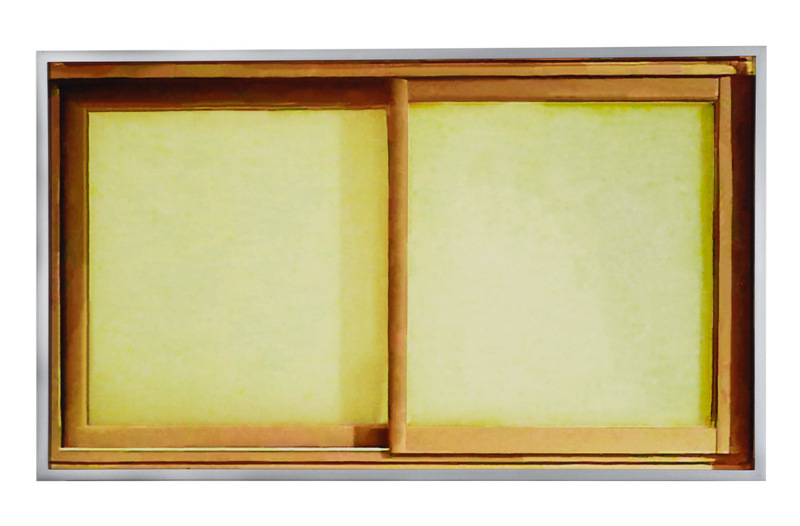 DAVID HUFFMAN, East and West, 2016, mixed media on wood panel, 18 x 18 inches (45.7 x 45.7 cm). GWENN THOMAS, Moments of Place IV, 2013-14, HD C-Print with aluminum frame, 15 1/2 x 26 inches (39.4 x 66 cm). 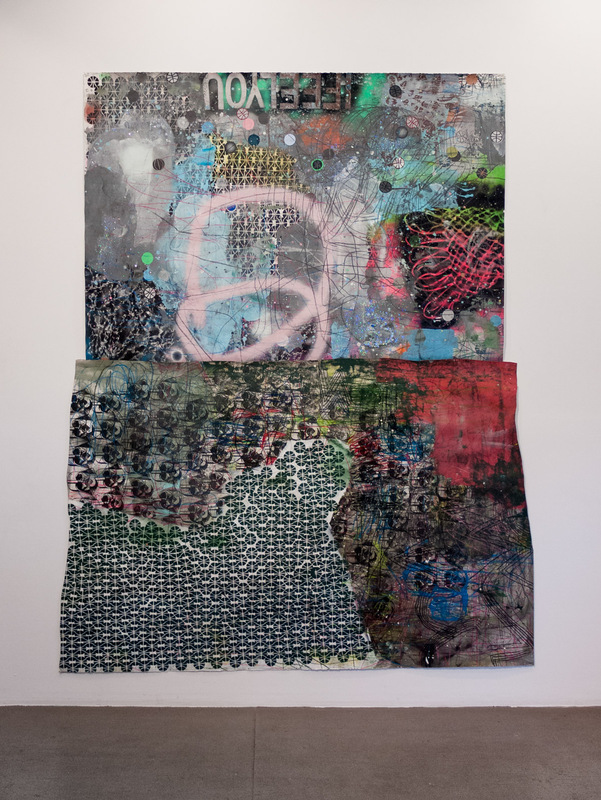 Art Projects International is pleased to announce PLACE, an eight-artist exhibition organized by Erik Bakke and on view from May 12 – July 16, 2016. The artists Brandon Ballengée, Dino Dinco, Tracey Emin, Nicole Eisenman, David Huffman, Joan Linder, Brooke Singer, and Gwenn Thomas explore place in space and mind. 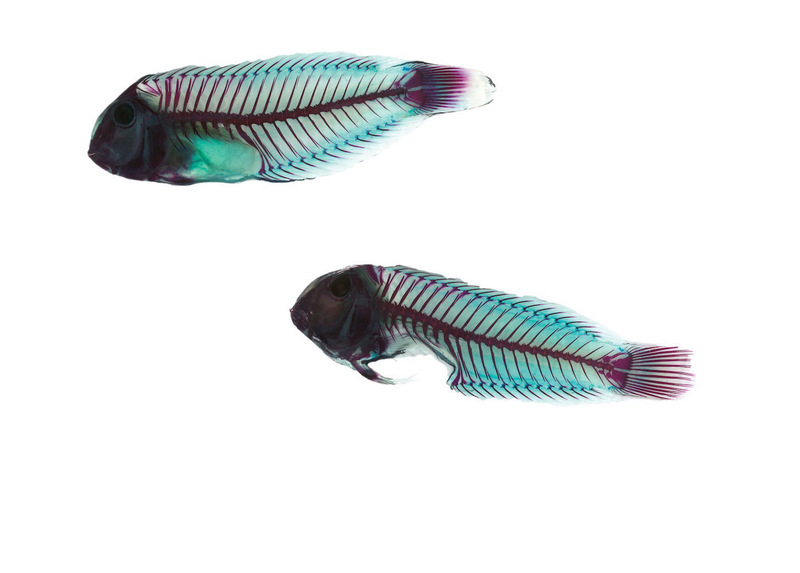 Ballengée’s images of marine life from the Gulf of Mexico, the specimens first cleared to make them translucent and then colorfully stained, are effervescent reflections of the aftermath of the BP Deepwater Horizon oil spill. 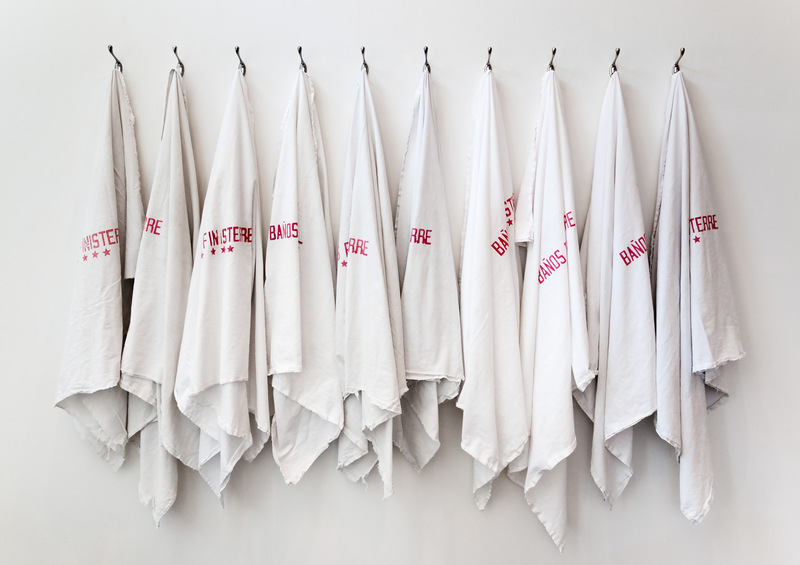 Dinco’s Finisterre works are an opening night performance and, for the course of the exhibition, the objects, as an installation, that remain after the performers have departed; the works use towels from the Baños Finisterre, Mexico City as focal points in considering unknown histories and the bathhouse’s male guests as social catalysts. 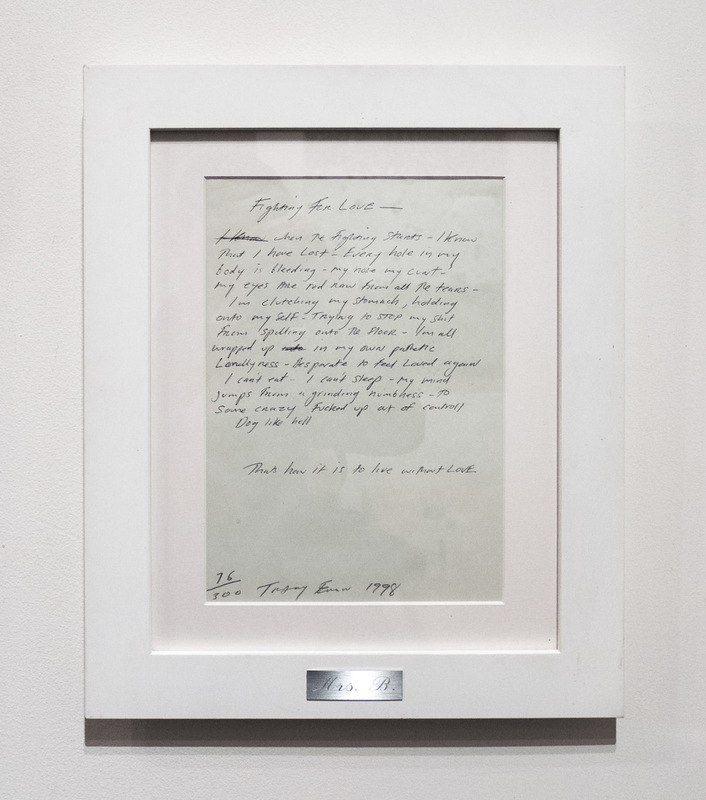 Emin’s text work about what it is like to live in a mental space where love has been lost is raw and direct. 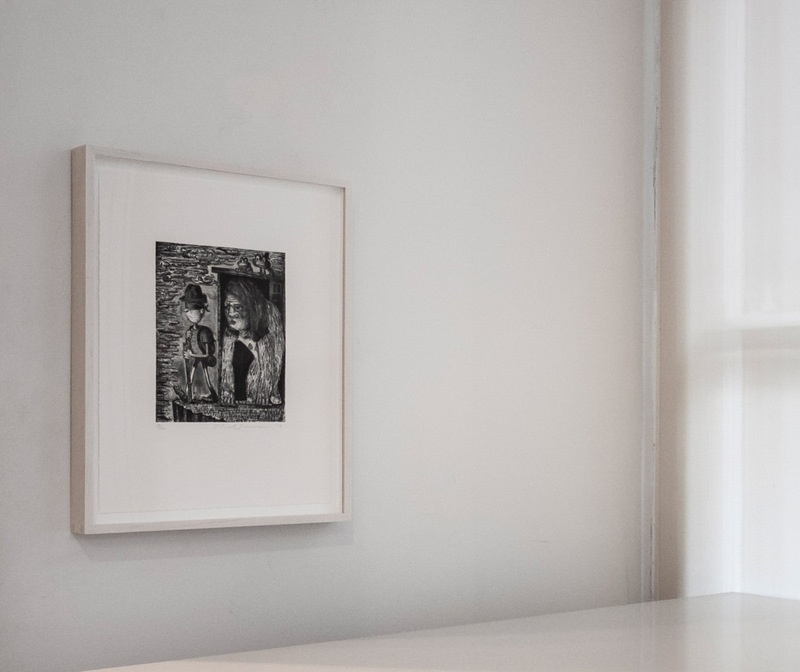 Eisenman’s etching and aquatint work of two fantastic figures borders on allegory and is at once humorous and psychological fraught as it explores the joys and horrors to be found in the interpersonal landscape. 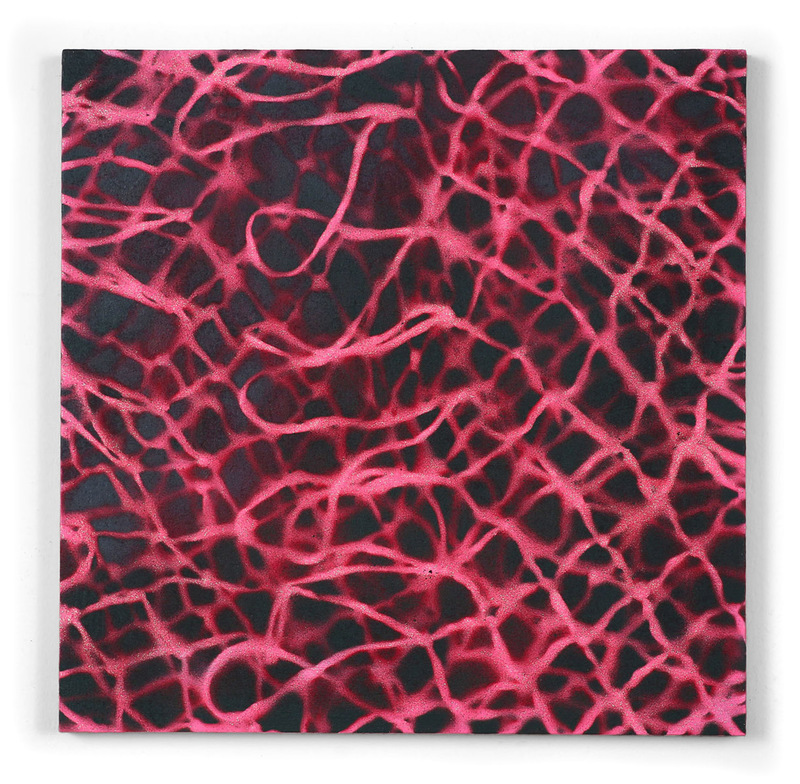 Huffman’s paintings offer lush investigations of surface and mark making—the basketball net as stencil is one tool utilized in creating these works—and exhibit his longtime consideration of both the black body’s internalization of the African-American experience and that experience’s public symbology. Linder’s large-scale, ink-on-paper drawings of buildings are the result of the artist directly confronting and rendering, in situ, the world as it appears before her. The results impress as mediated records of the artist closely viewing and sharing what we encounter daily but do not see. 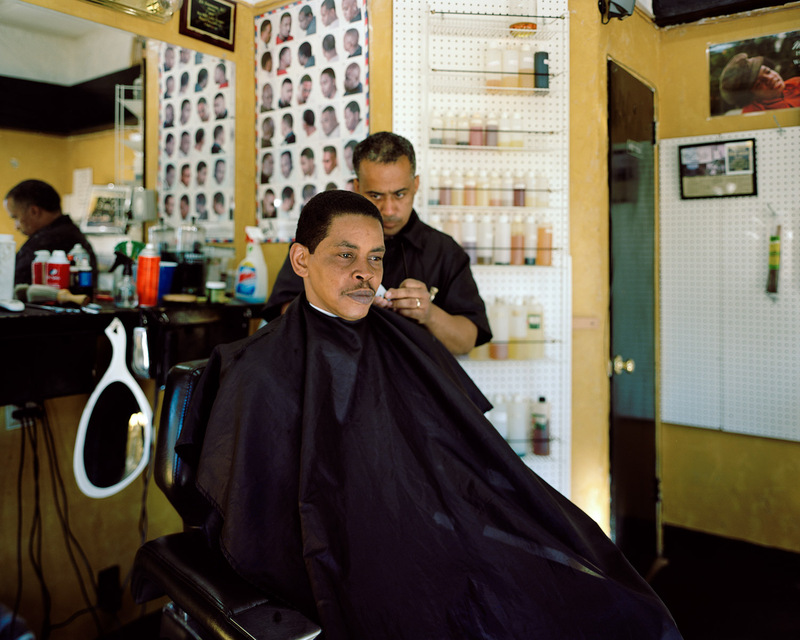 Singer’s photographs, neither journalistic nor fetishistic, have an aura that is tethered to the superfund sites they depict. The viewer cannot see the pollutants left by the U.S. military on Treasure Island, California or Vieques, Puerto Rico, but the photographs cannot be the same once the damaged locales’ histories are known. 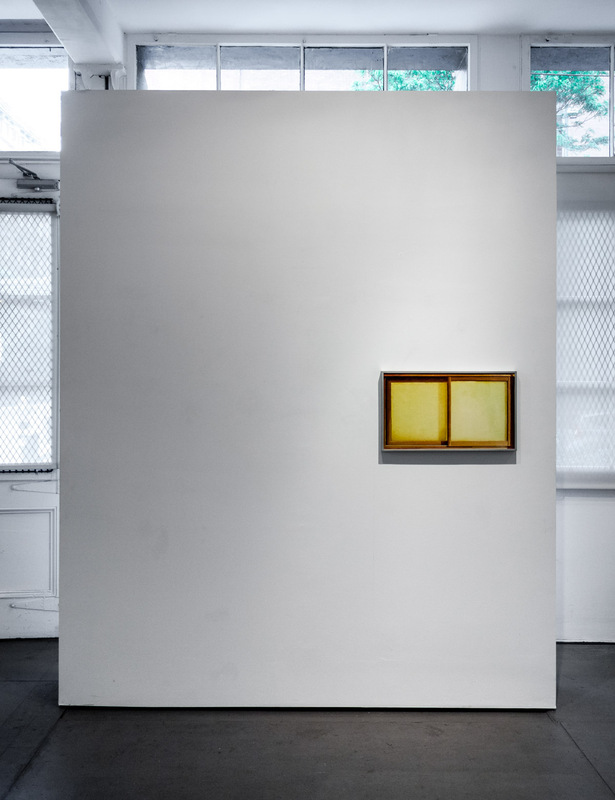 Thomas in her photograph of an image of a window, Moments of Place IV, explores the depth and construction of space within the picture frame while masterfully considering color and form and, in depicting an architectural detail and through the work’s placement in the gallery, draws attention to spacial relationships. The artists and the places in which they live and work are as follows: Brandon Ballengée—Lafayette, Louisiana; Dino Dinco—Los Angeles, California; Tracey Emin—London, England; Nicole Eisenman—Brooklyn, New York; David Huffman—Oakland, California; Joan Linder—Buffalo, New York; Brooke Singer—Brooklyn, New York; Gwenn Thomas—New York, New York.